DLT Chiropody | Podiatry | Chiropody news and advice on the DLT blog. 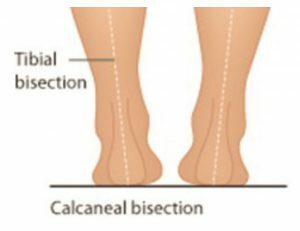 Generally rearfoot supination, inverted position of the calcanaeus relative to subtalar joint neutral or ideal positioning, is not that common and different professions describe it with different terminology eg. Rearfoot valgus is also a term to describe a weight bear-ing/compensated position of the rearfoot. ‘Closed kinetic chain supination consists of calcaneal inversion with talar head abduction and dorsiflexion.’1 it is the collective term for plantarflexion, inversion and adduction of the foot apparatus.2 which is happening around the Sub Talar Joint. It is correct to say that supination is a fundamental action in the gait cycle and a necessary element, however, in this newsletter we are considering excessive supination or the problematic ‘supinated foot’ structure. 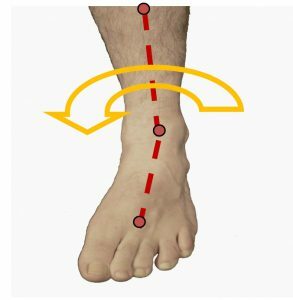 Supination of the foot occurs at heel strike to mid stance and then again at toe off and so addressing extended supination and its consequences is important, albeit that the supinated foot occurs in only approximately 8-9% of the population. Often the supinated foot will present with high arch3 or a more rigid foot structures and upon assessment may exhibit a forefoot valgus deformity. Patients suffering this biomechanical anomaly will usually wear the lateral aspect of their shoes and experience lateral side joint pain resulting from excessive stress placed on the joints due to the excessive lateral pressure as seen in the Image opposite . 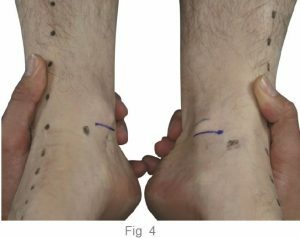 Examining the wear pattern on the patients shoes is a valuable assessment tool as it can indicate the way the body addresses the biomechanical anomaly within the gait cycle, pressure points and wear a tear patterns are often evident. Note: the Lateral wear pattern, in this instance a pattern under the 1st MTPJ indicating a plantarflexed 1st condition. Unilateral supination may be a compensation to structural leg length discrepancy in which the SHORT leg develops a supinated or excessively inverted position to raise the pelvic alignment, in this instance assessing structural leg length is important. Use a methodology that you are familiar and comfortable with to assist in assessing structural Leg Length. 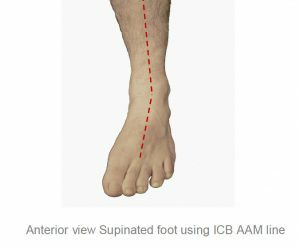 When assessing for ideal or neutral position using the ICB AAM method the foot may need to be everted or moved medially (pronated) to align the 3 reference points of the anterior line. When a Forefoot Valgus deformity is present the use of a fore-foot wedge addition, will encourage the straightening of the reference lines to enable the practitioner to place the foot into subtalar joint neutral/ideal (STJN). 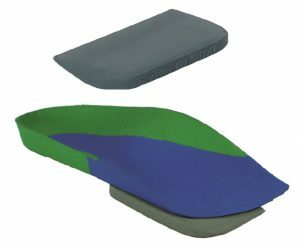 Most of the ‘off the shelf’ styled or premade orthotics are designed to be anti pronating devices, when treating a supinator these devices will need to be adjusted and modified to suit the supinating patient. Rearfoot supination, if mobile, may be treated with a lateral eversion wedge/ addition, however, mid foot and forefoot inversion (supination) can be treated with forefoot post-ing and lateral eversion ramps. Often uncompensated (rigid) rearfoot supinators will exhibit a plantar flexed 1st MTPJ as compensation, seeking to enable the 1st MTPJ to make ground contact for toe off phase of gait and will require a 1st MTPJ cut away of deflection to accommodate the plantarflexed 1st. 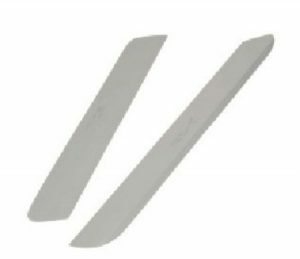 Supinators will not require rigid or firm EVA styled products, rather mid density or softer materials are best and the orthotic device should be moulded well into the arch. Generally a curved last shoe is designed for the supinated styled foot. Pronators will require a straight or semi curved last shoe. Stabilising the forefoot will reduce the inclination to excessively invert or supinate the foot thereby reducing inversion sprain condition. 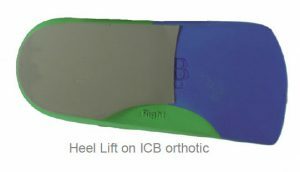 ICB recommends DUAL Density Sports or Blue mid density styles moulded well into the patients arch. Leg length inequality and the pathogenesis or the origin of the condition, is and will always be, a controversial subject. There is not enough space to conduct a debate on the treatment, origin and possible associated compensatory mechanisms that may arise when we examine the topic. Also a wide variance of opinion exists on the significance of structural leg length and the various methods for measurement. Many texts define minor structural leg length discrepancy as, less than 2 cm of difference. Other studies have suggested that, 40-70% of the population have at least some degree of LLD1, larger differences also appear in .001% (1:1000)of the population. 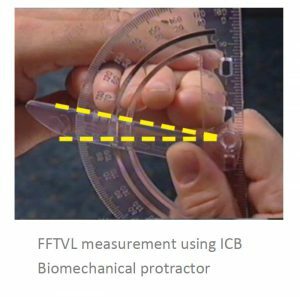 From ICB’s perspective in dealing with Lower Limb Biomechanics, a 2cm structural difference is, rather than being minor, quite a significant amount and should be treated mechanically. 1. Structural leg length difference, a difference in the long bone measurement of the leg. Its root cause can be illness, hereditary or trauma-related. The etiological factors involved in the causative process can be numerous such as: Idiopathic developmental abnormalities, fracture, trauma to the epiphyseal endplate prior to skeletal maturity, degenerative disorders, Perthes disease, cancer or neoplastic changes and Infections to name a few. 2. Functional differences can be more difficult to identify and treat as the etiological factors can be difficult to diagnose, e.g: body compensation associated with trauma, shortening of soft tissues, joint contractures, ligamentous laxity, axial misalignments, foot biomechanics, such as, unilateral excessive pronation, pelvic rotation and pelvic flare to name a few. Often structural short leg syndrome is a commonly un-recognised condition that often goes untreated. It can be argued that even small discrepancies of only 4mm, if uncorrected, may over time set off a chain reaction of symptomology throughout the body. 1. 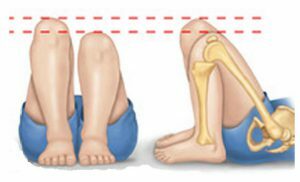 Structural Short Leg: when the measurement from the head of the femur to the lateral or medial Malleolus measures shorter on one side than the other. 2. Functional Short Leg: when the measurement from the 2 same reference points are equal on both sides, but there still appears to be a short leg – usually due to a twist in the pelvis. 3. Combination of Structural and Functional Short Leg. • Foot pain, Ankle pain, Knee pain. Muscular, Vascular and Neurological systems may also be affected. Osteoarthritis in the joints, and Scoliosis (including idiopathic’) are classic indicators of a leg length discrepancy and or twist in the pelvis. Anecdotal observation indicates that 80% of compensations is excessive long leg pronation. If the pelvis does not level as a result of the excessive pronation, the pelvis may twist or drop to one side – causing either a scoliosis or prolapse of the vertebral discs. Unilateral tightness in the gluteal muscles may occur with posterior pelvic tilt and rotation, which in the case of a functional short leg has the effect of rotating the pelvis posteriorly-effectively causing increased rotation of the spine at L1 to L5. A tendency to repeatedly pull (overstretch) the same muscles even though it has been given sufficient time to heal may occur. A unilateral bunion is often associated with a leg length discrepancy. As the body excessively pronates to provide long leg compensation (to level the pelvis), this predisposes the longer leg to the formation of a HAV or bunion 2. Thus when bilateral HAV is evident and there is unequal Bunion growth, it can be deduced that a longer leg may be evident. Although some Physicians still use measurement methods such as Knee height and tape measure. Current research indicates that newer manual techniques and radiographic analysis are preferred over the old tape measure method. 1. CT Scanogram: a radiographic technique that measures the actual length of the tibia and fibula bones. Point of failure in this method could be the inability of the radiologist to match the measurement reference points, however, this is not usually an issue. 2. Supine medial malleoli asymmetry (manual) (Fig : 4): A technique which is becoming more common and certainly more popular is a process that osteopath Gary Fryer at RMIT University Melbourne 20053 known as The Palpation for Supine Medial Malleoli Asymmetry Technique. This method is we believe, quick to perform and has demonstrated both a high intra-examiner and inter-examiner reliability. The trial concluded that Intra-examiner and inter-examiner reliability was almost perfect following subject selection for malleoli asymmetry, suggesting that clinicians can reliably detect medial malleoli asymmetries of greater than approximately 4 mm difference. The patient is placed in the supine position. The Practitioner balances the hips and pelvis, then marking the inferior aspect of the medial malleolus with a pen. Align the malleoli and rub together to compare the pen line markings, checking for discrepancy between the two lines. In the case of a structural leg length discrepancy, a heel lift alone to the short leg may not provide the solution for the patient, as the long leg will continue to pronate and cause upper body imbalance and compensations. Correction to the longitudinal arch of both feet and their biomechanics by prescribing an orthotic device is essential. The orthotic device will ensure the correction and realignment of the feet, and the addition of a heel lift on the shorter leg will prevent jamming in the hip of the longer leg, and prevent upper body compensations and resultant pain. Generally 80-85% of compensatory action will be excessive long leg pronation, other compensations may occur such as : Long leg knee flexion, short leg supination, genu recurvatum or knee hyperextension as a means to adjust the pelvic alignment. 1. Woerman AL, Binder-MacLeod SA. Leg length discrepancy assessment: accuracy and precision in five clinical methods of evaluation. J. OrthopSports Phys Ther 1984;5:230-8. 3. Gary Fryer 2005 : Factors affecting the intra-examiner and inter-examiner reliability of palpation for supine medial malleoli asymmetry. Knee pain is a common condition experienced by people of all ages, and levels of activity. 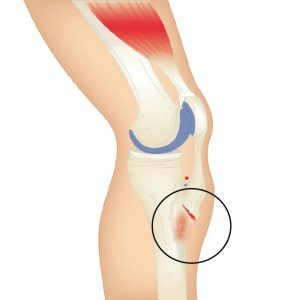 Knee pain is a problem that can be experienced due to many contributing factors, Including: increased Q-angle, genu-valgum and genuvarum, muscle tightening through the gastrocnemius, iliotibial band and VMOs, hyper-extension of the knee and tibial rotation and torsion, bakers cyst, connective tissue disorders such as lupus . When discussing knee pain, terms such as ‘Retro Patella pain’, ‘Patella Femoral Dysfunction’, ‘Medial Compartment Syndrome’ or ‘Ilio Tibial Band Friction Syndrome’, come to mind. However, from ICB’s experience, these conditions are simply descriptions of knee pain. Knee can be affected by trauma, foot mechanics or issues at the hip. Trauma issues are not discussed in this article , rather we focus on the other two areas, both of which can affect the operation of the knee. If the patient’s pain is idiopathic (i.e.. no known cause or trauma), excessive pronation and excessive supination may constitute the underlying cause of the problem – as outlined by Michaud, 1997 1. Michaud states that for every 1˚ of pronation the tibia internally rotates 1˚, which in turn impacts on the knee joint, as it takes the stress that is generated by the tibial rotation. Tibial rotation describes the rotation of the tibial shaft and is different to tibial torsion. Tibial Torsion is a twisting in the osseous structure of the tibial shaft. Internal Tibial rotation is associated with excessive pronation, medially displacing the patello femoral path and encouraging lateral displacement of the patella. 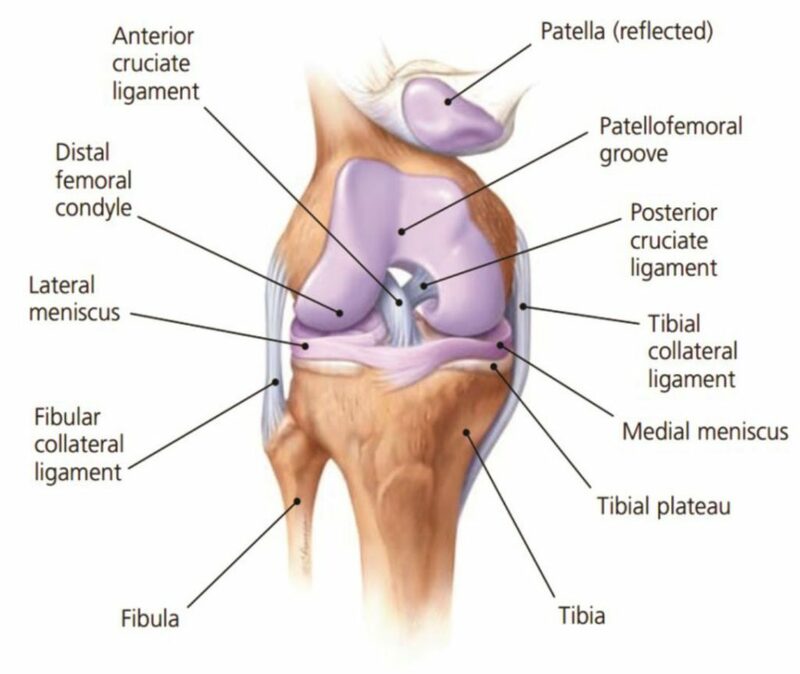 Internal Tibial Rotation is a common problem and elicits pain under and around the medial aspect of the patella – especially with excess loading activities such as running and jumping. To treat pain associated with internal tibial rotation, give VMO strengthening exercises , knee strapping, and other strengthening exercises – all of these are valuable treatment options, however, these methods, no matter how beneficial, only treat the symptoms. Controlling and stabilising the foundation is a key to successful treatment of medial knee pain. A major cause of medial knee pain is excessive pronation which causes the medial collateral ligament to elongate resulting in the weakening of the VMOs and the ITBs tightening. A con-sequence of this action is external rotation of the femur as compensation. As the ITB and piriformis muscles compensate to reduce medial rotation, the patella begins to track on the lateral aspect of the femoral condyle and a grinding and crackling is felt on the flexion to extension. Strapping, using the McConnell technique and strengthening VMOs is a good treatment method, however it will not correct the problem – strapping will only assist in pain relief, and the condition will constantly re-occur until the knee has degenerated or become Osteo-Arthritic, and may eventually require surgical intervention. A basic requirement to reduce rotational stress on the knee is STJ and MTJ control and correction. 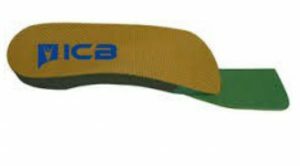 • McConnell strapping technique to control lateral/medial patella displacement, in conjunction with low dye strap-ping to mimic the support and control of an orthotic de-vice. Low dye strapping, however, is only a temporary treatment. Low Dye taping to imitate wearing orthotics. 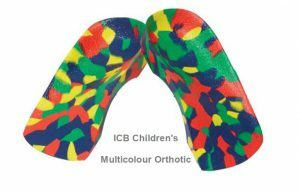 • ICB Orthotics moulded to the patient’s Ideal/NCSP (Neutral Calcaneal Stance Position) to control abnormal STJ and MTJ pronation, by aligning the calcaneus with the lower 1/3 of the tibia and limiting the joint to its original function as a hinge joint. Rearfoot correction using ICB Orthotic with intrinsic 5° Rearfoot varus. • Strengthening VMO exercises whilst correcting the feet with orthotics, and stretching the ITBs. • Mobilisation of the knee joint may also be useful. • Acupuncture can be performed at the point of pain to aid pain relief. • Runners may require increased rearfoot varus wedgeing to compensate for the higher tibial varum angle at heel strike, during the running cycle. The condition is named after Robert Bayley Osgood (1873-1956), an American Orthopedic surgeon and Carl B. Schlatter, (1864-1934), a Swiss surgeon who described the condition independently in 1903. Watch the video below about Osgood–Schlatter disease below. 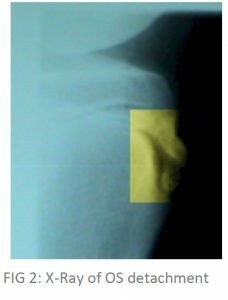 General medical opinion is that Osgood Schlatter Disease, is caused by repetitive stress or tension on the growth plate of the upper tibia (the apophysis), which can be complicated by growth spurts and biomechanical deformities or anomalies. In general medical circles it is often called ‘growing pains’ and is similar in bio-mechanical dysfunction to Severs Condition, however occurring in this instant at the tibial tuberosity being characterised by inflammation of the patella tendon and surrounding soft tissues at the point where the tendon attaches to the tibia. This condition appears to afflict children who are growing fast and often have external Tibial Torsion condition combined with Internal Tibial Rotation associated with excessive pronation. Osgood-Schlatter’s Disease, is we believe, caused by repetitive stress or tension on the growth plate of the upper tibia (the apophysis), which can be complicated by growth spurt syndrome and biomechanical deformities or anomalies. The cause is similar in biomechanical operation to Sever’s Disease, except that it occurs at the tibial tuberosity and characterised by inflammation of the patella tendon and surrounding soft tissues at the point where the tendon attaches to the tibia. As stated, it is usually young people who suffer with this disease – experiencing pain just below the knee joint and patella which usually worsens with activity. It is also associated with an avulsion injury (stretching the tendon so much that it tears away from the tibia and in extreme cases takes a fragment of bone with it – See Figure 2). A bony bump may appear on the up-per edge of the tibia (below the knee cap) that may be particularly painful when external pressure is applied. It has been misdiagnosed in the past in Australia as “surfer’s knee” (a myth that only surfboard riders suffered from the condition). The hinge motion of the knee is not actually affected. Most commonly Osgood Schlatters Disease affects active young people, particularly boys between the ages of 10 and 16 who play games or sports that include frequent running and jumping. In a retrospective study of adolescent athletes actively participating in sports showed a frequency of 21% reporting the syndrome compared with only 4.5% of age-matched non-athletic controls2. Bilateral symptoms are observed in 20–30% of patients indicating that there is a higher incident of unilateral occurrence lead-ing one to deduce that in the unilateral cases, structural leg length or other unilateral biomechanical anomalies may be a contributing factor. • Pain to the touch over the affected area. Often the pain may last only a few months or may recur until the child stops growing. Not a lot has been written about the effect of the combination of a growth spurt combined with both pronation or supination, and internal and external tibial torsion. However, children appear to experience more pain and resultant damage to the attachment when these factors occur in combination. The pain (and resultant effects) become more noticeable during activities that require running, jumping or going up or down stairs and is most common in young athletes who play football, soccer, basketball, netball or who are involved in gymnastics and ballet. As the foot pronates internal tibial rotation occurs. 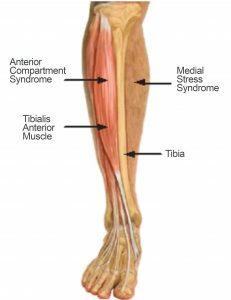 The body’s mechanism of compensation causes the ITB’s and abductor muscles to tighten in the opposite direction causing the patella to laterally and superiorly displace, hence causing a tractional pull on the tibial tuberosity. Because of the anterior position of the tibial tuberosity, when the foot supinates due to a FFT valgus deformity less than 10 degrees in the swing phase of gait, the foot lands laterally then the ground reaction forces (on the lateral side) propel the foot into pronation with the same effect above. Internal tibial torsion will cause the foot to rotate the tibial condyle medially. The ITB’s and gluteals then tighten and come into action as an external rotator of the femur as the compensatory mechanism causing external rotation above the knee and internal rotation below the knee. The two rotation actions have an effect on the patella and its tendon attachment also causing the tibial tuberosity to stretch and pull. 4. External Tibial Torsion: This causes the foot to externally rotate in the swing phase of gait, the iliopsoas and adductor muscle groups combined to provide compensation at the late swing phase, causing the foot to straighten and land laterally (same effect as 2). Then the ground reaction forces cause the foot to pronate with the help of the psoas pull resulting again in internal rotation above the knee and external tibial torsion position increases tractional forces on the patella and its attachment. • Orthotics moulded to the patient’s Ideal/Neutral Calcaneal Stance Position to realign and hence reduce the effect of tibial rotation. 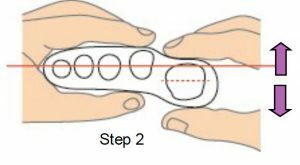 • Combine orthotic therapy with strapping: use an Osgood Schlatters strap (see below) to reduce the tension on the attachment at the growth plate whilst the child is playing sport (see Figure 3). Stretching may exacerbate the tearing – alternatively use deep friction massage to help in pain relief. Active children may experience shortening of the muscles whilst growing, which coupled with biomechanical anomalies = predisposition to Osgood Schlatter. It is important to differentiate from malignancy, infection, fracture, tendonitis and Sindling-Larsen-Johansson Disease. Initially the diagnosis is based on clinical signs and symptoms including: pain, heat, tenderness and local swelling with prominence at the tibial tuberosity. X-ray is required to establish the extent of the condition. Steroid injections are discouraged as this may cause weakening of the infra-patellar ligament, scaring and fat necrosis. 1 Nowinski RJ, Mehlman CT (1998). “Hyphenated history: Osgood-Schlatter disease”. Am J. Orthop. 27 (8): 584–5. PMID 9732084. * The Morton’s extension is a 3°- 4˚ ramp under the phalange to allow the patient to propel off at toe off stage of gait. 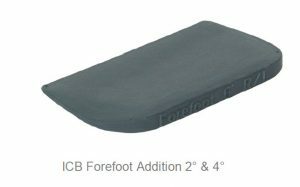 To create a Morton’s extension you can use an ICB 4° Forefoot wedge. and trim. The progressive nature of the condition was first documented by Cotterill2 and Davies-Colley3 in literature over a century ago, in which they described hallux limitus / rigidus as a progressive condition producing a severely painful and rigid big-toe joint. Hallux Limitus is assessed as being evident when movement of the great toe (hallux) is restricted to less than the normal range of motion or flexion to 65 – 75 degrees. 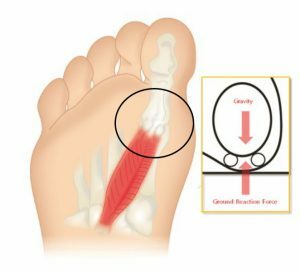 Flexion in the big toe assists to maintain the correct walking gait action to perform normal functions such as stooping down, climbing up, or even standing. For these reasons this disorder can be very troubling and even disabling. • Abduction of the foot in gait to reduce stress on the 1st MTPJ at toe off. 2. A short 1st metatarsal shaft In the case of the long metatarsal shaft the 1st MTPJ strikes the ground early and dorsiflexes the 1st metatarsal head. As this happens it restricts the proximal phalange from propelling over the 1st MTPJ and creates an impingement of the joint. Osteoarthritic changes result in the metatarsal joint and narrowing of the joint space leading to hallux limitus or a joint with limited movement. If action is not engaged to prevent it will eventually lead to hallux rigidus or joint ceasure. A short metatarsal shaft will adduct to the midline of the body to gain ground contact, as this happens the metatarsals will plantarflex and rotate, and the ground reaction forces will cause dorsiflexion of the 1st metatarsal head. 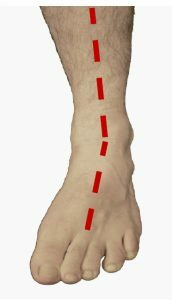 This, when combined with the pronation factor, will create impingement at the tarso metatarso joint and reduce the proximal hallux’s ability to propel over the joint. The tarso-metatarsal joint will in this instance be stressed and the ability of the proximal hallux in the propulsive phase of gait to flex to its normal range of motion will be reduced as it impinges or jams the 1st MTPJ. 1.An adductory twist: this is where the calcaneus pivots medially at the propulsive phase of the gait cycle. This is in turn assisted by the external hip rotators such as piriformis, gluteals and ITB’s, and as this takes place medial ground reaction forces (GRF) put pressure on the 1st MTPJ. As the patient attempts to toe off this causes the hallux to deviate and develop me-dial callosity. 2.The distal phalanx of the hallux be-comes the alternative propulsive mechanism which is due to limited joint mobility at the 1st MTPJ, thus causing dorsiflection of the distal hallux with secondary action of nail trauma & nail thickening ( onychogryphosis). The result of this is that many patients wear through the dorsal aspect of their shoe or socks. 3. Abduction of the foot in gait to reduce the impact upon the 1st MTPJ resulting in increased medial pronatory forces. Correctly aligned and modified orthotic device will alleviate these outcomes and allow the 1st MTPJ to function within the parameters of the structural abnormalities of the foot of the presenting patient. Once the foot structure is realigned and maintained in the ideal / neutral position pressure is taken off the 1st MTPJ and increased flexion in the joint can be achieved. Rx : Treatment for a long 1st metatarsal shaft- an orthotic to lift the proximal hallux and at the same time deflect the 1st MTPJ by way of a depression placed under the joint using a heat gun on a 100% EVA orthotic device – using a full length orthotic style is best (see fig. 1 below). Composite orthotic products have limited heat-ing ability and do not allow for easy deflection creation. 1. Correct the pronation factor using an orthotic device moulded to the patient’s ideal / NCSP (Neutral Calacaneal Stance Position) which will control rearfoot eversion (pronation). Generally a device with between 4˚-6˚ rearfoot varus will give the required control. 2. The orthotics should control and correct both the Subtalar and mid tarsal joint pronation together using a device that can be moulded to effectively follow the con-tour of the patients arch to reduce longitudinal arch col-lapse (which would encourage the foot to evert during the propulsive phase) whilst maintaining rearfoot con-trol. 3. Use a ‘Morton’s extension addition’* to lift and sup-port the hallux and allow the hallux to propel over the joint (see Fig. 2). The Morton’s extension lifts the 1st MTPJ to level with the lesser metatarsal joints and allow the proximal phalange to maintain its position and stops the 1st MTPJ from plantarflexing & rotating which encourages the pronation effect. Ultrasound or other physical therapy modalities may be undertaken to provide temporary relief. Non-steroidal anti-inflammatory drugs (NSAIDs), may be pre-scribed to help reduce pain and inflammation in the 1st MTPJ. Supplements such as glucosamine-chondroitin sulfate and some vitamins and mineral supplements may also be helpful . Check for gout, rheumatoid and Psoriatic arthritis. 1. MARCINKO DE: Medical and Surgical Therapeutics of the Foot and Ankle, pp 423-465, Williams & Wilkins,Baltimore, 1992. 2. COTTERILL JM: Stiffness of the great toe in adolescents. Br Med J 1: 1158, 1888. 3. DAVIES-COLLEY N: Contraction of the metatarsophalangeal joint of the great toe (hallux flexus). Br Med J 1: 728, 1887. Orthopedic terminology describes inversion as a frontal plane movement of the foot, where the plantar surface is tilted to face the midline of the body or the medial sagittal plane, the axis of motion lies on the sagittal and transverse planes, a fixed inverted position is referred to as a varus deformity1. Inversion sprains are probably the most common foot sprain condition and they are often associated with pes cavus feet or a high forefoot valgus in relation to foot mechanics. The treatment of this type of condition will involve a combination of different modalities including orthotic therapy to stabilize the foot mechanics. Watch the video below for a short introduction. 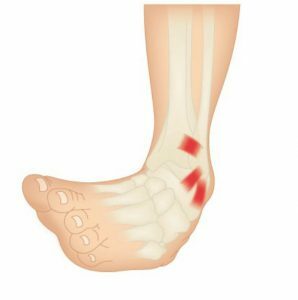 This article will focus on lateral sprain and pain associated with a pes cavus foot structure and a forefoot valgus deformity. 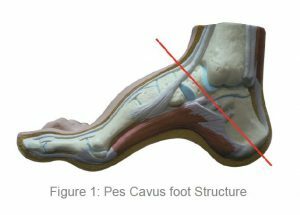 Pes cavus foot (high arch) structures (see Figure 1) appear to have a predisposition to lateral ankle sprains and present as a rigid structure and a supinated foot structure. Patients with this foot structure will often complain that their joints are painful and when they walk without shoes on hard floors. This deformity will have an impact on the patient in heel strike, midstance and toe off phase of gait. The patient who exhibits a pes cavus foot structure will often present with a (FFVL) Forefoot valgus greater than 10º and will often exhibit a plantar flexed 1st metatarsal (Boyd & Bogdan, 1993), encouraging the foot to strike laterally and eliciting pressure on the lateral aspect of the hip joint. If the Forefoot valgus deformity is greater than 10º, the foot will often continue to supinate through the cycle, having a jar-ring effect on the upper structure, putting additional strain on the Lateral aspect. 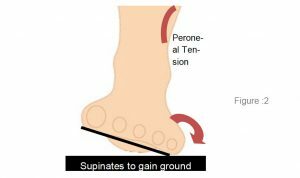 When the foot is supinated it will stress on the peroneals and may cause elongation of the muscles and tendons, thus weakening the retinaculum and lengthening the peroneals and may cause the tendon to sublux off the lateral aspect of the malleolar. The FFT Valgus deformity (in gait) encourages the foot to invert the foot, propulsion is delayed causing lateral instability and results in tension and tearing of the peroneal muscles, causing inflammation and tenderness, and difficulty walking. Lateral ankle sprains are more common than medial due to the fact that ligaments are weaker on the lateral side7. Hence the lack of lateral stability can be caused by uncompensated or partially compensated rearfoot, a flexible forefoot valgus or osseous forefoot valgus (Boyd & Bogdan, 1993; Hollis et al, 1995; Shapiro et al 1994). • In gait the FFTVL allows inversion of the foot to gain ground contact. In summary, if a patient presents with lateral hip pain, knee pain, ankle strain or repetitive lateral inversion sprain, check for a forefoot valgus deformity and employ the following treatment suggestions to assist in alleviating the pain symptoms, whilst treating the underlying causation. 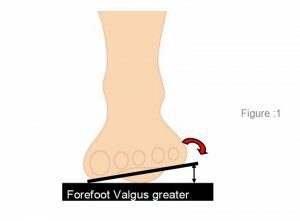 If the patient requires a forefoot valgus posting to be added to their orthotic devices remember that the measured forefoot valgus deformity commence by taking ½ the measured amount and gradually increasing until treatment is effected or the patients shoe wear is not able to accommodate. 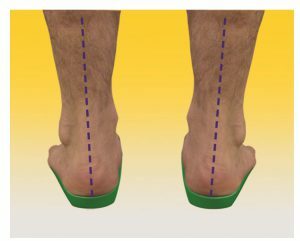 If the forefoot valgus is very large say greater than 15º, a reduction in the posting size may be required to assist the patient in being able to accommodate the orthotic in the shoe box area. • Deep tissue massage along the peroneal muscles or suction cups to break down scaring and adhesion. 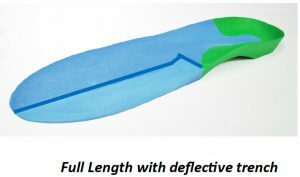 • Orthotic device with an appropriately sized forefoot valgus addition applied (see Figure 4). Always start with a conservative sized valgus addition, and build up from there to assist compliance. • Acupuncture at the point of pain. • Lateral Prolotherapy to strengthen the lateral ankle ligaments to encourage proliferation of the lateral ligaments (formation of collagen fibres). • Mobilisation of the cuboid joint, as this may become subluxed. • For lateral ankle sprains use stabilising ankle strapping, in combination with the orthotic device. • Immobilisation with a rigid stirrup brace or below-knee cast is recommended for grade III sprains for at least 10 day followed by controlled therapeutic exercise. 2.Ivins D. Acute ankle sprain: an update. Am Fam Physician. Nov 15 2006;74(10):1714-20. [Medline]. 3.ANDERSON KJ, LECOCQ JF, CLAYTON ML. Athletic injury to the fibular collateral liga-ment Of the ankle. Clin Orthop. 1962;23:146-61. [Medline]. 4.Gross MT, Liu HY. The role of ankle bracing for prevention of ankle sprain injuries. J OrthopSports Phys Ther. Oct 2003;33(10):572-7. [Medline]. 5.LeBlanc KE. Ankle problems masquerading as sprains. Prim Care. Dec 2004;31(4):1055-67. [Medline]. 8.Kaminski TW, Hertel J, Amendola N, et al. National Athletic Trainers’ Association position statement: conservative management and prevention of ankle sprains in athletes. J Athl Train. 2013;48(4):528-45. SHAPIRO, M.S., KABO, J.M., MITCHELL, P.W. & LOREN, G. 1994. Ankle Sprain Prophylax-is: An Analysis of the Stabilising Effect of Braces and Tape. The American Journal of Sports Medicine, 22, (1), p 78-82. 1. Absorbing impact forces in the fore-foot during walking through a series of attachments to other structures in the forefoot. 2. 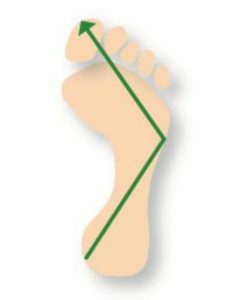 Acting as a fulcrum to provide the flexor tendons with a mechanical advantage as they pull the hallux down against the ground during gait. The hallux (big toe) has two phalanges and two joints (interphalangeal joints), together with two small sesamoid bones (the medial and lateral sesamoid bones). The sesamoids are implanted or embedded in the flexor hallucis brevis tendon which exerts pressure from the big toe against the ground and aids in the act of walking during the toe-off phase of gait. The sesamoids not only have to endure the pressure of body, weight and gravity, but also the constrictive pressure of the flexor hallucis brevis tendon. A. Sesamoiditis is a general description of the condition which is given to inflammation of the sesamoids but actually relates more specifically to tendonitis of the flexor halluces longus1. B. Stress fractures of the sesamoid usually occurring as an impact injury. C. Acute sesamoid fracture most commonly an evulsion fracture. D. Osteochondritic dissecans or avascular necrosis. A feature in which the blood supply to the sesamoid bone is interrupted in which bone death can result. E. Chondromalacia of the sesamoid resulting from continual synovitis of the 1st MTPJ in which fibrosis develops leading to freezing of the sesamoids1 and apparatus. Sesamoiditis is the most common and is characterised by pain at the first metatarsal sesamoid commonly occurring in combination with a plantar flexed 1st metatarsal. This condition may present as often as in 4% of overuse type foot injuries (Dennis and McKinney, 1990). Sesamoiditis typically affects physically active young people and is more common in sporting people who require to balance on the ball of the foot (such as ballet dancers, basket ballers, netballers, cricket players and soccer players) – as they attempt to stop and change direction by pivoting or putting pressure on the forefoot area and the 1st MTPJ. The condition causes pain under the 1st MTPJ and commonly affects the medial (inner) side of the joint. The pain may be constant, or it may occur with or be aggravated by, movement of the big toe joint. It may also be accompanied by swelling (oedema) throughout the plantar aspect (bottom) of the forefoot. It is reputed that the forefoot bears approximately one half the body’s weight and balances pressure on the ball of the foot. Sesamoiditis has been also linked as a possible uncommon cause to Metatarsalgia2. 1. Absorbing impact forces in the forefoot during walking through a series of attachments to other structures in the forefoot. Patients who suffer from Sesamoiditis often exhibit a fixed or mobile plantar flexed 1st metatarsal which maintains the 1st MTPJ on impact. The lesser metatarsals absorb the impact in the gait cycle, however, if the 1st MTPJ is rigid and the sesamoid take the full impact during toe off. Repetitive chronic pressure and tension on the forefoot will cause the surrounding tissues to become irritated and inflamed. In some cases the sesamoids may bifurcate and in severe cases necrosis may occur. The practitioners should check the patient for a Plantar flexed 1st using the common test in which the movement of the joint should be 5mm dorsiflexion, and 5mm plantar flexion or a total range of approx 10mm. This test will identify if there is a limitation in the joint’s range of motion due to a fixed osseous condition. 1.With the patient in the supine position, maintain the foot in the neutral position, using ICB Anterior Alignment Method. 2. Grip the lesser metatarsals, line the thumbs up and the range of movement should be 5mm up and 5mm down. Pronation will displace the sesamoids laterally causing trauma to the sesamoid apparatus. This can change the patient’s gait as they try to compensate and may cause other upper body compensatory effects, including hip pain. 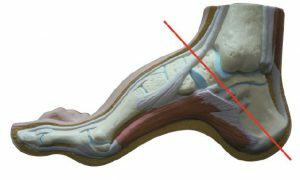 A Supinated foot will often display a plantar flexed 1st as compensation to assist in lowering the 1st MTPJ to the ground and thereby enabling toe off. Patients who suffer from Sesamoiditis may exhibit a fixed or mobile plantar flexed 1st metatarsal 3 which maintains the 1st MTPJ in a plantar flexed position on impact. The lesser metatarsals are able to absorb the impact in the gait cycle, however, the 1st MTPJ is rigid and the sesamoid take the full impact during toe off. Repetitive chronic pressure and tension on the forefoot will cause the surrounding tissues to become irritated and inflamed. In some cases the sesamoids may bifurcate and in severe cases necrosis may occur. Initial treatment for sesamoiditis is usually non-invasive and includes orthotic therapy to treat the plantar flexed 1st. Generally a deflection will need to be incorporated into the orthotic to remove or reduce the pressure from this area. 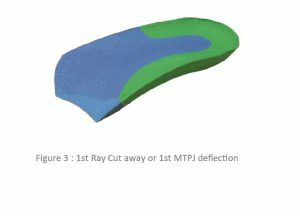 The Plantar flexed 1st Ray (metatarsal) deflection is cut around the 1st MTPJ and then the edges are heated and smoothed to taper the edge of the orthotic, and avoid irritation (see opposite). The orthotic itself has some in-built forefoot support under the 2nd to 5th to support this area similar to a 2-5 bar. Treatment is generally non-surgical, however, if conservative measures fail, surgical intervention by way of removal or pinning of the sesamoids may be undertaken. Modifying the patients’ shoes is not overly effective as each pair would need to be modified. The easier approach a heat mouldable orthotic incorporating a Plantar flexed 1st ray deflection modification which can be moved and transferred from shoe to shoe with relative ease. In addition, the big toe may be bound with strapping tape (or athletic strapping) to immobilise the joint as much as possible and allow healing to take place. Acupuncture can be used to reduce inflammation and anti inflammatory drugs can be taken to reduce swelling. If a full length orthotic is required a ‘relief trench’ can be placed into the orthotic using a dremel hand grinder to allow the 1st MTPJ to plantar flex without restriction. Michaud T.C. (1993) Foot Orthoses and Other Forms of Conservative Foot Care. Williams and Wilkins, Baltimore, pp.93-105. Root M.L., Orien W.P. and Weed J.H., (1971) Clinical Biomechanics: Normal and Abnormal Function of the Foot. Clinical Biomechanics Corp, Los Angeles, Chapter 10. 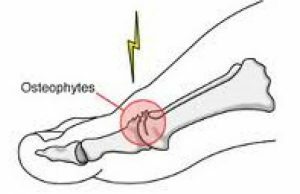 Severs Condition (Calcaneal Apohphysitis) is an inflammation of the growth plate of the bone at the back of the heel (apophysitis of the calcaneus) and occurs during a child’s adolescent years, usually affecting children who are physically active. The point where the inflammation of Severs condition appears is usually localised to the posterior and plantar side of the heel over the calcaneal apophysis – where the Achilles tendon attaches to the back of the calcaneus. Often young children experience pain in one or both heels whilst engaging in general activities such as running, jumping, or sports such as netball, basketball, football and soccer. 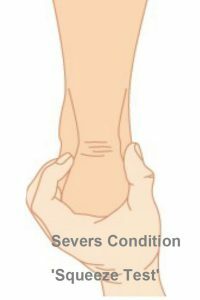 Symptoms of Severs Condition include extreme pain when the child places their heel on the ground. This pain is alleviated when the child runs or walks on their toes (i.e. activities that do not exert weight and pressure on the heels). This is because strain is reduced on the epiphyseal plate as the heel is raised off the ground. The calcaneus takes on a slightly supinated position thus reducing tension on the attachment. Often full immobilisation is recommended to treat this condition, however, there is no need to plaster the foot or for the child to stop playing sport during the course treatment. 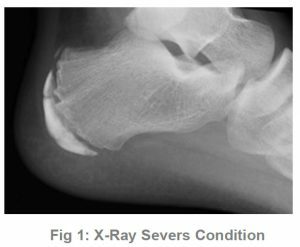 That is, unless X-rays show evidence of a fracture in the heel growth plate or epiphyseal plate. (see Fig:1) If a fracture is evident, sporting activities should cease for approximately 6 weeks to allow healing. This condition usually affects children, between the ages of 8 to 13 years. Severs condition is more common in boys than in girls, and it is uncertain why this appears to be the case. Micheli and Ireland reported on 85 patients, 64% of whom were male1 in their research – however, they did not provide definitive reasons for the skew towards young males. General research opinion agrees that between the ages of 8 and 13 years, children’s bones are still in the growth stage and the growth plates on the skeletal structure have not yet become fused and ossified, which normally occurs by around the age of 17 years4. During the rapid growth surrounding puberty, the apophyseal line appears to be weakened further because of increased fragility of the calcified cartilage. tendo-Achilles inserts onto the calcaneus. Excessive pronation is a major contributing factor when combined together with the child’s growth spurt pattern. In very severe cases, the growth plate can detach from the calcaneus. Fractures or micro fractures can completely detach the growth plate, pulling it out of position possibly resulting in osteochondritis dissecans. * Decreased ankle dorsiflexion. * Abnormal hind foot motion (eg.excessive pronation or supination). * Tight calf muscles* Excessive weight-bearing activities e.g running which will cause deformation of the rearfoot. Madden and Mellion (1996) noted an means of assessment could be to require the patient to stand on their tip toes, raising and lowering, and gauge whether there was an exacerbation of symptoms6. Orthotic therapy is an excellent treatment regime7 as it realigns the biomechanical structure whilst controlling excessive pronation of the rearfoot. Stabilising the calcaneus and its growth plate by restricting or limiting excessive pronation can prevent long-term injury and discomfort. 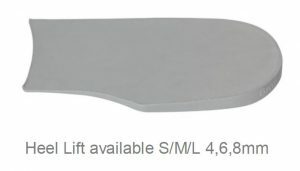 The use of bilateral heel lift of approximately 4mm is recommended in combination with orthotics for short term relief. 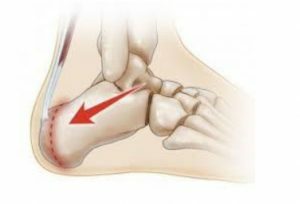 Removal of the heel lifts, after an initial 2 week acute pain period is recommended, however if additional support and control is required sports strapping using a low dye taping technique can be useful. Deep tissue massage of the calf muscle (in combination with orthotic therapy), is also a successful mode of treatment. Stretching the calf muscles is however not recommended whilst inflammation is still present, as this may cause further tearing at the attachment. Stretching and deep tissue massage may be in part, prophylactic in the maintenance of the condition. 1 Leri JP; Heel Pain in a Young Adolescent Baseball Player. (2004) Journal Chiropractic Medicine. Spring: 3(2):66-8. 2 Price RJ, Hawkins RD, Hulse MA, et al; The Football Association Medical Research Programme: An Audit of Injuries in Academy Youth Football. Br J Sports Med. 2004 Aug;38(4):466-71. 3 Micheli LJ, Ireland ML; Prevention and Management of Calcaneal Apophysitis in Children: An Overuse Syndrome. Journal Paediatric Orthopaedics. 1987 Jan-Feb;7(1):34-8. Back pain is a complex one as it can be categorised into a variety of locations Upper, Middle, and Low Back Pain, and can range in intensity from mild to severe (chronic). Sciatica for instance, can cause pain in the lower back and the legs, where-as low back strain can affect L1 –L5 region of the spine. Excessive pronation can also cause lower lumbar pain due to its affect of rotating the pelvis anteriorly. A short video on Back pain is below. Treating this pain requires that we determine wherever possible, the origin of the disorder whether from the muscles, nerves, bones, joints or other structures in the spine. It is reported that low back pain causes 40% of missed days of work in the United States1, and is reputed to be the single leading cause of disability worldwide2. The spine is a complex interconnecting network of nerves, joints, muscles, tendons and ligaments, all of which are capable of producing pain. Therefore in this newsletter we just want to focus on basic back pain associated with structural leg length abnormality and how to treat these problems by incorporating orthotics and other modalities. 2. Functional – arising from a variety of causes which affect the biomechanics of the body. a. suffered a trauma in which one plantar fascia may have ruptured or elongated and consequently, created a functional short leg or if there is idiopathic ulilateral excessive pronation or supination present. b. assess if tibial torsion with hip compensation is present : such as tight psoas which will rotate the pelvis anteriorly, or tight piriformis ITB’s and Gluteals, as a compensation for internal tibial torsion to correct the pigeon toed position. Both these compensations could either, rotate the pelvis (anterior) forward or (posterior) backward creating functional leg length problems in the gait cycle. 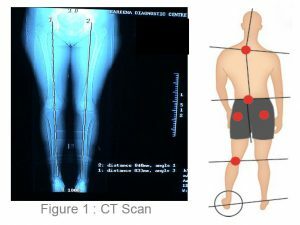 If the patient has a long leg compensation in which the long leg drops down or pronates to level the pelvis, establish the structural length and this can be verified using a CT scanogram (see Figure 1) for leg length or the normal x-ray film to check the leg length. The longer leg will be predisposed to hip joint wear and tear. Therefore if a patient is asymmetrical, inform them about the consequences of not treating the condition. Some practitioners say the body will compensate for the difference so why bother with a heel lift to raise and level the pelvis? However, even everyday objects that are asymmetrical such as tables and chairs become unstable over time, how much more our bodies? It has been said that 3-4mm can upset the biomechanical structures of the body. If the patient is suffering from hip compensations they will need to be either referred to the appropriate Allied Health Practitioner for stretching and strengthening exercises to correct the anomaly. At the same time prescribe orthotics to realign and correct the biomechanics. A combination of orthotic therapy and muscle stretching and strengthening will give the best treatment results. If there is no apparent structural leg length the use of orthotics to realign the foundation will be required and a combination of other modalities will be needed to address both skeletal and soft tissue imbalances and compensations. When the patient presents with a structural deformity either due to a recent trauma or a long term biomechanical related anomaly, the use of a heel lift or raise on the structural short leg will be required. It is recommend that the practitioner applies ½ the leg length discrepancy measurement, in the heel lift. Then this amount can be gradually increased, this will limit initial discomfort and quicken patient compliance. In the case of treating a short leg due to trauma/ accident injury the entire amount can be applied, within the first 6 months, as long as the rehabilitation has ceased and the body has not started to use soft tissues to compensate for the leg length deficiency. Contraindication in these instances would be any fusing of the spine as this may cause the patient to be in more pain. If you are prescribing orthotics and have NOT MEASURED structural leg length, the orthotic will invariably remove the any normal body compensation of the ‘long leg pronation’. If excessive long leg excessive pronation compensation is removed it will create a jamming in the long leg acetabulum at the hip, create problems with the SI joint and contribute to the development of a scoliosis, as stated in Blake & Ferguson, 1992. Placing a heel lift in the shoe of the short leg without using orthotic devices is not recommended, as this will create a leg length problem on the raised leg side, because the longer structural leg will continue to pronate due to ligament laxity. The use of one orthotic is never recommended as the foundation needs to be balanced, and the necessary biomechanical corrective additions attached to the orthotic. Where back pain and SI joint pain is concerned it is recommend that leg length discrepancy is assessed and treated. Measure and confirm structural or functional leg length discrepancy. Use a method you are comfortable with. • Orthotics to treat ‘long leg pronation’, together with a heel raise being added for the short leg. • Raise the short leg in stages – if the discrepancy is a large, start with half the amount of measured discrepancy. • Often a multi-disciplinary approach such as adjustments to ‘free’ the pelvis, stretching tight muscles is beneficial. Check the head of femur is sitting correctly in the acetabulum, in combination with orthotic therapy will deliver the best results for the patient. 1. Manchikanti, L; Singh, V; Datta, S; Cohen, SP; Hirsch, JA; American Socie-ty of Interventional Pain, Physicians (Jul–Aug 2009). “Comprehensive review of epidemiology, scope, and impact of spinal pain.”. Pain physician 12 (4): E35–70. PMID 19668291. Blake RL, Ferguson, H (1992) Limb Length Discrepancies. Journal of the American Podiatric Medical Association 1: 33-38. Blustein SM, D’Amico JC (1985) Limb Length Discrepancy –identification,Clinical Significance and Management. Journal of the American Podiatric Medical Association 75(4): 200-206.